Tabasco ( taˈβasko ), officially the Free and Sovereign State of Tabasco (Spanish: Estado Libre y Soberano de Tabasco), is one of the 31 states which, with the Federal District, comprise the 32 Federal Entities of Mexico. It is divided into 17 municipalities and its capital city is Villahermosa. It is located in the southeast of the country bordering the states of Campeche to the northeast, Veracruz to the west and Chiapas to the south, and the Petén department of Guatemala to the southeast. It has a coastline to the north with the Gulf of Mexico. Most of the state is covered in rainforest as, unlike most other areas of Mexico, it has plentiful rainfall year round. For this reason, it is also covered in small lakes, wetlands and rivers. The state is subject to major flooding events, with the last occurring in 2007, which affected eighty percent of the state. The state is also home to La Venta, the major site of the Olmec civilization, considered to be the origin of later Mesoamerican cultures. Even though it produces significant quantities of petroleum and natural gas, poverty is still a concern. The state is located in the southeast of Mexico, bordering the states of Campeche, Chiapas and Veracruz, with the Gulf of Mexico to the north and the country of Guatemala to the south and east. The state covers 24,731 square kilometres (9,549 sq mi), which is 1.3% of Mexico's total. The northwestern portion is on the coastal plain of the Gulf of Mexico with the south and east as part of the mountain chain that extends into northern Chiapas. It is divided into seventeen municipalities. There are 36 communities designated as urban, with about 3,000 smaller towns and villages. 185 are classified as "regional development centers". Tabasco has seventeen municipalities: Balancán, Cárdenas, Centla, Centro (Villahermosa), Comalcalco, Cunduacán, Emiliano Zapata, Huimanguillo, Jalapa, Jalpa de Méndez, Jonuta, Macuspana, Nacajuca, Paraíso, Tacotalpa, Teapa and Tenosique. In 1994, the state was officially divided into two regions and five sub-regions for socioeconomic development and geographic documentation. The two major regions are called the Grijalva and the Usumacinta. The Grijalva Region is named after the river on which most of the municipalities here are dependent. It is the smaller of the two regions with a territory of 1,206,934 square kilometres (466,000 sq mi) or 48.94% of the state's territory; however, it contains most of Tabasco's urban population as well as of its socioeconomic and political activity. It is divided into three sub-regions called Chontalpa, Centro and Sierra; it includes the municipalities of Huimanguillo, Cárdenas, Comalcalco, Cunduacán, Paraíso, Jalpa de Méndez, Nacajuca, Centro, Jalapa, Teapa and Tacotalpa. The Usumacinta Region is named after the main river on which the Centla, Jonuta, Emiliano Zapata, Balancán and Tenosique municipalities depend. It is divided into the Pantanos and Ríos subregions, which are both more rural than the Grijalva Region. The environment of the state consists of extensive low-lying floodplains, mountains and valleys. Most of the territory is covered with tropical rainforest and wetlands. 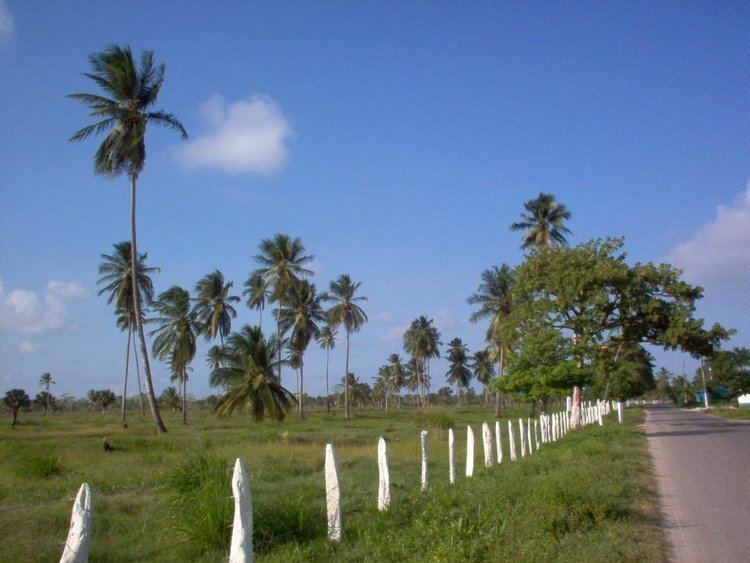 There are also areas with savanna, beaches and mangrove forests. Much of the rainforest has suffered degradation due to over logging and conversion of territory into farmland. The east is formed by low humid plains formed by sediment deposited by a number of rivers. In the Chontalpa zone and in parts of the municipalities of Cental and Jonuta, there are swampy depressions extremely vulnerable to flooding from both riverflow and from excessive rainfall. In the south there are some elevations which are part of the central mesa of Chiapas. The most important of these is El Madrigal, La Campana, La Corona, Pomaná, Coconá, Mono Pelado and El Tortuguero. However, most hills in the state do not exceed 30 metres (98 ft) above sea level. Tabasco has 198.8 kilometres (123.5 mi) of shoreline, 29,800 hectares (74,000 acres) of estuaries, lakes and numerous rivers and streams. Major rivers include the Mezcalapa, Pichucalco, Chacamax, Usumacinta, San Pedro y San Pablo and Tonalá. Almost all of the river system of the state belongs to the Usumacinta River-based, the largest in Mexico and the Grijalva River basin, the second largest. These basins encompass numerous rivers and streams which all eventually flow into the Gulf of Mexico. The only rivers outside these basins are the Tonalá, on the border between Tabasco and Veracruz and some small rivers in Chontalpa. On the coastline, there are numerous lagoons and some inland lakes. The most important of these are El Carmen, Pajonal, La Machona and Mecoacán. Because of the flat terrain, there are areas where rivers pool due to shallow depressions. The total volume of fresh water flow in the state is about 125,000,000,000 cubic metres (4.4×1012 cu ft), which is about 35% of the flow of the entire country. Flooding is a frequent occurrence, especially in September and November. There are four principal ecosystems in the state: tropical rainforest, tropical savannah, beaches and wetlands. Tropical rainforest dominates most of the state due to the high levels of rainfall the area receives. However, what exists today is only a fraction of what used to be, as much of the forest area has been overexploited by man, mostly through logging and slash-and-burn agriculture. Most of the intact rainforest is found in the municipalities of Tenosique, Balancán, Macuspana, Teapa, Tacotalpa, Cárdenas and Huimanguillo. These rainforests contain species such as mahogany, cedar, various types of palms, "macayo", ceiba, willows and many more. There are various types of orchids native to the state along with a native species of cactus. This environment also has the widest variety of wildlife, such as macaws, parrots, quetzals, hummingbirds, iguanas, and various kinds of snakes. Mammal species have declined because of deforestation, but still include spider monkeys, jaguars, pumas, raccoons, anteaters, deer, and wild boar. Tropical savannah is mostly found in the southern part of the state, mixed in with areas of rainforest. 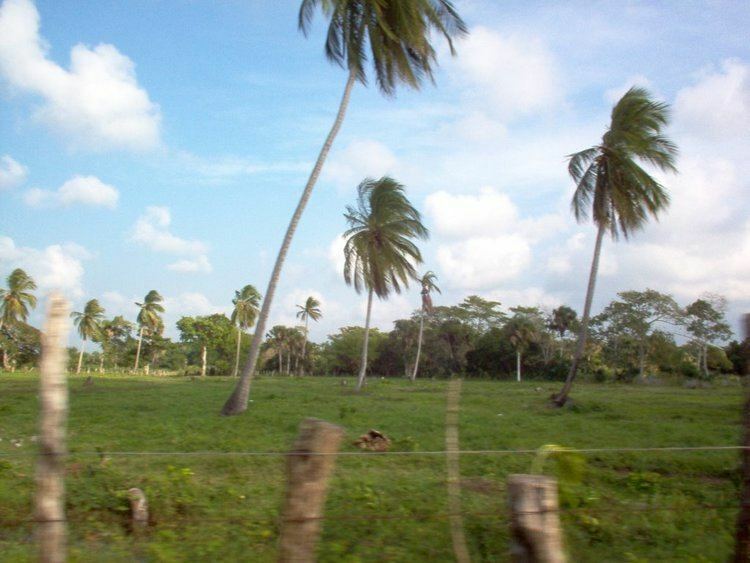 These areas are dominated by grasses and bushes along with some smaller trees such as jahuacte, cocoyol and small palm trees. The savanna has wildlife such as rabbits, deer, foxes, and various species of birds. Along the coast the soil is sandier and while the vegetation is still tropical, species are different than in the interior rainforest. They include coconut palms, palo mulato, royal palm and pimento de Tabasco. These areas have suffered the most from slash and burn agriculture. Along these areas of forest are the beaches and wetlands of the state. The beach areas are dominated by ground vegetation which is able to tolerate the high salinity of the soil. The wetlands are dominated by the most extensive mangrove forests in Mexico, concentrated on the lagoons that border the Mezcalcpa River along with the banks of the Tonalá, San Pedro y San Pablo and Grijalva rivers. There are four main types of mangroves locally called red, white, black and "prieto". Most of the wetlands of the state belong to the Pantanos de Centla Biosphere Reserve. The abundance of fresh water in wetlands and river areas supports a wide variety of aquatic life such as freshwater gar, mojarra, crocodiles, various species of turtles and frogs, and many species of native and migratory waterfowl. In larger bodies of water manatees can be found. In the brackish and salt water lagoons various ocean species are found, as well as shellfish and mollusks, and bird species such as seagulls and pelicans. Tabasco has a hot tropical climate, with the Gulf of Mexico having significant influence on weather patterns. Over 95% of the state's territory has a hot, wet climate. The rest is hot and semi-humid, located in the far northeast of the state. The average annual temperature is 27 °C (81 °F) with high temperatures averaging 36 °C (97 °F), mostly in May, and lows of 18.5 °C (65.3 °F) in January. Unlike many parts of Mexico, Tabasco has abundant year round precipitation. The state receives an average annual rainfall of 2,550 millimetres (8.37 ft). Rain occurs all year but is particularly heavy from June to October. The flat areas of the state are subject to frequent flooding. One reason for this is the rivers that flow from the Sierra region and the Usuamacinta River. Another is that there are a number of dams such as the Angostura, Chicoasén, Malpas and Peñitas; these are built for hydroelectricity and flood control, but can overflow. The state has 17,138.2 hectares (42,349 acres) of state protected lands such as the Agua Blanca waterfalls and the Sierra State Park in Teapa. The Grutas de Coconá caves are classified as a natural monument with 422 hectares (1,040 acres). The Centla Biosphere Reserve covers an area of 302,706 hectares (748,000 acres). The Yumká Park and Laguna de las Ilusiones Ecological Reserves have 1,973.6 hectares (4,877 acres). The Laguna de la Lima Reserve has 36.2 hectares (89 acres). The Chontalpa Ecological Park has 277 hectares (680 acres). The Laguna del Camarón Ecological Park has 70 hectares (170 acres). 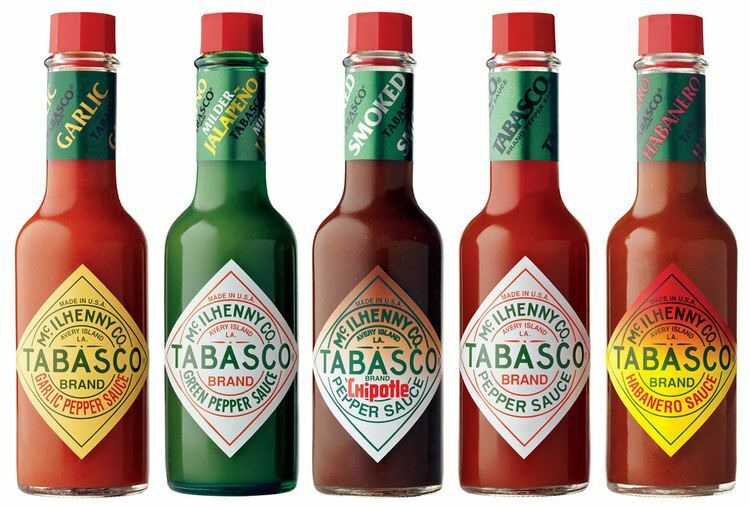 The origin of the name Tabasco is not definitively known, with a number of theories debated among linguists. The name appears in the chronicles of Bernal Díaz del Castillo during the conquest era, who says it comes from the name of a river in the area. One possible etymology is that it comes from a Mayan phrase meaning "our lord of the eight tigers". Another states that it is from Nahuatl with two possible derivations: one meaning "place that has a lord" and the other "place where the land is moist". The state seal is that which was granted in 1598 to the town of Villahermosa, then called San Juan Bautista by Philip II of Spain. This is one of the oldest coats of arms in the Americas. The Olmec civilization dominated much of what is now Tabasco 3,000 years ago, with its height around 800 BC. They were the oldest Mesoamerican culture which dominated areas in what are now the states of Mexico, Guerrero, Oaxaca, Veracruz and Tabasco as well as parts of Central America, and considered to be the founding culture for all of Mesoamerica. The main Olmec site in Tabasco is La Venta. The site covers an area of 5.3 square kilometres (2.0 sq mi) surrounded by swamps and marshes linked to the Tonalá River, 15 kilometres (9.3 mi) from the Gulf of Mexico. Around 300 AD, the Mayas began to dominate part of the state. Mayan sites include Comalcalco, Pomoná, El Tortuguero and Jonuta (prehispánico). The Mayans in Tabasco reached their peak between the 6th and 7th centuries. In the early 16th century, the main ethnicities of Tabasco were the Mayas-Chontals, the Zoques, and the Popolocas, living in small villages with the Mayan language dominating. The first contact with the Spanish came in 1518 when an expedition headed by Captain Juan de Grijalva disembarked at the mouth of the river that now bears his name. Hernán Cortés came the following year and fought the indigenes here at the Battle of Centla. As conqueror, Cortés received twenty female slaves, one of whom was La Malinche. Despite the early conquest and the foundation of Santa María de la Victoria (today Frontera), the territory was not fully subjugated because of the climate, terrain and lack of minerals. The Franciscans arrived in the 16th century to evangelize, but they did not stay. For this reason, the indigenous people of this area were not generally converted to Catholicism, unlike other parts of New Spain. Tabasco was a landing and crossing point for the conquest of southern Mexico and Guatemala, referenced by Hernán Cortés in one of his letters to the Spanish Crown. It was noted by him and by Bernal Díaz del Castillo for its abundance of cacao. The first to have success was Francisco de Montejo (Jr.) in the 1540s who assumed command of the city as part of the province of the Yucatán, governed by his father. Montejo introduced the first cattle to Tabasco. The introduction of European diseases decimated the local population, resulting in the Spanish bringing African slaves to work plantations. This led to some mixing among the three races which has affected the ethnic appearance of the people of the state. Significant agricultural production was not achieved until the 18th century, primarily in cacao and cattle. During this time the sea traffic to Villahermosa increased, which made it a relatively important port. For the rest of the colonial period, most of Tabasco would have no major events and no major commerce in comparison to the rest of the country. The Spanish did not begin to pacify the area until the second half of the 16th century, when Santa María de la Victoria was secured, slightly inland from the original Frontera location. However, in the meantime, the English had taken possession of the nearby Isla del Carmen and other points in the Gulf for piracy. Santa María de la Victoria was attacked and sacked, forcing the settlement to move inland in 1598 to San Juan Bautista (today Villahermosa), renamed Villa Hermosa by the Spanish Crown, which gave it the oldest coat of arms on the American mainland, today the seal of the state of Tabasco. At the beginning of the 18th century, Tabasco and Veracruz united to combat the pirate threat, and succeeded in expelling them from the Isla del Carmen. The city returned to its original and current location in 1795. At that time, the entire state had a population of only 36,000 in two towns, two villages, and various ranches and farms. The province sent a delegate to Spain to complain about the marginalization of the area to the Crown. The first insurgent during the Mexican War of Independence in the state was José María Jiménez, who declared the state's independence in 1815. However, Jiménez was soon jailed and local authorities proclaimed allegiance to the Crown. At the end of the war in 1821, Tabasco became of the first fourteen states under the 1824 Constitution. The first state constitution was ratified in 1825. In 1883, the state was divided into seventeen municipalities. The struggle between Liberals, who wanted a federal government, and Conservatives, which wanted a centralized government, played out in Tabasco with various skirmishes between Ruiz de la Peña leading the Liberals and Marcelino Margalli for the Conservatives. In 1829, the military in Campeche revolted against Mexico City and proclaimed its own government. Shortly after, Tabasco joined the movement and proclaimed a Conservative government. However, this government was shortlived. Political instability in the state and an outbreak of cholera forced Tabasco to rejoin the federation. 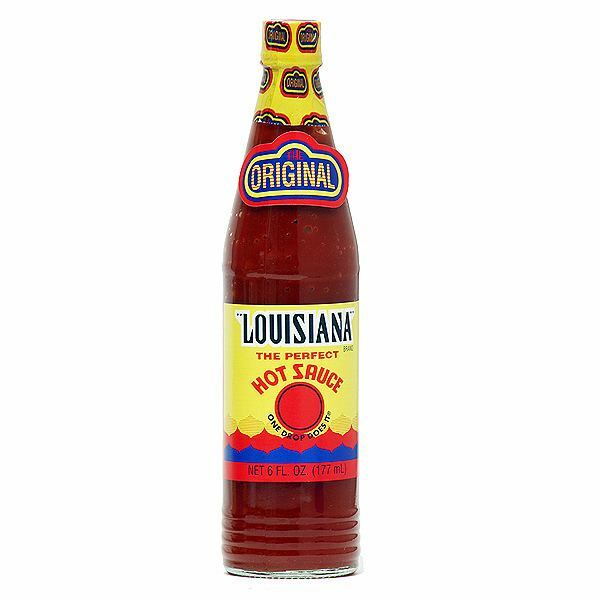 In 1836, a group of Conservatives took control of the federal government, but Tabasco liberals decided to rebel against this government until they were defeated. During the Mexican–American War, troops under Matthew C. Perry arrived to Tabasco in 1846. Other ships arrived soon after and the troops took possession of the port of Frontera. On their first attempt to take Villahermosa upriver, they failed. The second attempt bombarded the city before successfully taking it. However, the Tabascans formed guerrilla groups and this along with the inhospitable climate forced the U.S. military to withdraw soon after. For the rest of the war, ships remained in the Frontera area to block commerce between Tabasco and central Mexico. After the Americans left, Tabasco governor Justo Santa Anna rebelled against Mexico City due to the lack of support during the war. The Americans returned in 1847 to attack the capital. It was defended by local troops, but they did not have the necessary supplies. The Americans occupied the capital for another thirty-five days, causing great destruction. During the French Intervention in Mexico, the French took Villahermosa in 1862 installing a governor in 1862. Tabasco forces retreated into the mountains. Meanwhile, Various Tabascans formed a newspaper called El Dissidente, which criticized the French installed government. There were several insurrections against this government such as the one headed by Andrés Sánchez Magallanes in 1863. He raised a small army from various parts of the state and attacked the imperial army barracks in Comalcalco then moved onto Villahermosa in November 1863. Here they encountered imperialist troops at what is now called the Battle of Jahuactal, where the insurgents won, expelling the French from the state. The Porfirio Díaz period from the 1880s to 1910 were free from political violence and allowed the state to build infrastructure, but only slowly due to its isolation. The capital, heavily damaged by decades of war, was reconstructed, with many old buildings torn down to make way for new ones. In 1879, the Instituto Juárez was inaugurated. In 1881, telegraph service connected Villahermosa with Mexico City. The capital received electricity in 1890, with the new state government palace opened in 1894 and the first bank in 1901. Tabasco experienced significant economic development during the Diaz period in the late 19th century, with cacao and other products shipped worldwide. However, this development led to wide scale deforestation began in the latter decades of the 19th century with timber companies cutting large areas of rainforest. While Díaz remained in power, Tabasco governor Abraham Bandala also remained from 1894 to 1910, re-elected to office sixteen times. Timber and agriculture made the elite in the state rich, with most of the rest of the population workers indebted to their employers. The technological progress was accompanied by poor and even slave-like conditions for many workers. This fueled resentment in the state and the rest of the country. This resentment led to the Mexican Revolution. In 1879, the first institute of higher education, the Instituto Juárez, was opened. During this time period, a woman by the name of Salomé Marín Virgilio founded schools in Balancán to teach workers to read and write along with liberal political ideas. Her work would later inspire José María Pino Suárez. Anti Díaz sentiment began in the decade of 1900 with efforts to keep Bandala from being re-elected. The first vocal opponent to the Díaz regime in Tabasco was local journalist Domingo Borrego. In Huimangullo, Chontalpa, the first "Club Anti reelection Melchor Ocampo" was formed to oppose the government but it was disbanded quickly. By 1909, there were a number of large protests in the state which led to the formation of the Gutierrista Party, headed by Ignacio Gutierrz Gomes along with two brothers. These and others in the state joined forces politically with Francisco I. Madero and a new Club Anti-reelecionista was formed in Huimanguillo. These efforts succeeded in defeating Bandala and replacing him with Policarpo Valenzuela, calming the situation in the state for a short while. After Madero was assassinated, the politics of the state fractured, with various factions vying for the governor's position leading to insurrection and frequent government changes who were allied with the various armies vying for power nationally. Another important episode in the history of the state was the governorship of Tomás Garrido Canabal after the end of the Revolution. He was elected in 1922, allied with Mexican presidents Obregón and later Calles. He implemented an ambitious socialist program, organizing unions and consolidating power though his Radical Socialist Party (Partido Socialista Radical). He reestablished the state's teachers’ college and established a system of rural schools. Livestock-raising increased and general economic levels rose. He prohibited the production and sale of alcoholic beverages in the state. An atheist, he persecuted the Catholic Church, destroying various churches including the Tabasco Cathedral. Events relating to this were portrayed in the novel The Power and the Glory by Graham Greene. He organized "cultural assemblies with the aim of persuading people away from religion, sometime burning images of saints. He even forbade the use of crosses on graves and changed the names of towns and ranches to rid them of religious reference. Unlike other parts of the country, there was little resistance against this repression of the church and the success of Garrido's dissuasion left a vacuum, which was later filled by missionaries from Protestant and Evangelical groups." His tenure as governor ended in 1935, when he was appointed the federal Secretary of Agriculture and he appointed Aureo L. Calles to take over. Opponents of Garrido declared this a violation of due process and held their own elections. Supporters of Garrido tried to stop the election, resulting in shooting and twelve dead. In the 1950s, Carlos A. Madrazo became governor; he promoted large public works, agricultural and industrial projects, and initiated exploration for petroleum. The highway along the Gulf Coast linking eastern Tabasco with Veracruz and the Yucatan Peninsula was completed in 1956. During the same decade, a museum dedicated to the La Venta archeological site was founded by Carlos Pellicer. In the 1960s and 1970s, the educational system was modernized, instituting free breakfasts for students. Infrastructure projects improved or created docks, roads, monuments and sporting facilities mostly in the capital and municipal seats. Agriculture was the focus of programs called Plan Chontalpa and Plan Balacán-Tenosique and free health care clinics were built in rural areas. Oil and natural gas were discovered at this time and in 1974, the development of these resources began. The petroleum boom produced great wealth, but there have been disputes over the money earned from the facilities owned by PEMEX, the nation's oil company. The industry has put pressure on the state's infrastructure, housing and supplies of basic necessities. New roads, bridges and a modern airport have been constructed with oil money, along with a Centro de Investigaciones de la Cultura Olmeca y Maya, el Teatro del Estado, a planetarium and a convention center in the capital. The PEMEX facilities have caused environmental damage, and damage to local farmers’ crops. There have been issues related to the breaking of environmental laws, but corruption and the lack of legal jurisdiction outside of the federal government, which owns PEMEX, has hampered efforts to sue for enforcement. In 1996, hundreds of blockades of installations were carried out by locals with the active support of the Party of the Democratic Revolution (PRD). The most notable was the blocking of the bridge to the Sen oil field. It was broken up by police but the following month 30,000 marched on Villahermosa to protest. The friction between the populace and the government over oil and other issues led to some political restructuring in the state. This was accompanied with general dissatisfaction with the ruling party, the PRI, nationwide. Reforms to decentralize power away from Villahermosa was undertaken but in the 1990s, political instability remained with farmers, ranchers and others continuing to complain about how PEMEX was affecting their economic activities. Flooding has historically been an issue in the state, which has year round heavy rainfall and various rivers flowing through it. Villahermosa was founded on a hill between the Sierra and Grijalva River. The growth of the city from the 1970s on has brought development down from the hill onto the floodplains. Recent major flooding includes events in 1975, 1990 and 1999. The last prompted the creation of the Programa Integral de Control de Inundaciones (Integral Program for Flood Control) to build dams, dikes and other flood control measures. These were in process of construction when the 2007 floods hit. From October 28 to 30, unusually heavy rainfall caused the Grijalva River to rise, overflowing the Peñitas Dam, as well as other area rivers. This eventually covered about eighty percent of the state's territory as deep as 4 meters (13 ft) in places, affecting over a million people. The flood damage was made worse by the presence of human settlements on flood plains and the lack of hydraulic infrastructure on the Sierra and Usumacinta rivers. There was also a lack of warning systems and evacuation plans for those downriver. In the 1990s, various technical colleges were established in the state along with the Universidad Popular de la Chontalpa and another in Tenosique. Hospitals in various municipalities and various historic centers were reconstructed, especially that of Villahermosa. The state accounts for 3.4% of Mexico's national GDP. Although the recent oil boom has helped to bring the state out of complete poverty, there is still areas in which this is a serious problem. In the city areas coverage of running water, sewerage and electricity is over ninety percent; however, in the rural areas, running water is about forty percent, sewerage under seventy percent and electricity under 85%. The state has about 150,000 families or about half a million people living in poverty, mostly due to lack of employment according to Sedesol. Most of the state's poor are concentrated in the Jonuta, Tacotalpa, Centla and Humanguillo municipalities as these lack any major industry. The heavy rainfall in the state does not lend itself well to annual crops and frequent flooding is a problem as well. Despite this, there is significant production of corn, sorghum and beans. Most of the commercially important crops are perennials, such as cacao, coconut, oranges, bananas and sugar cane. There is also important pasture, both natural and seeded. The state has extensive areas of natural grasslands. Due to the climate, the Zebu breed of cattle does best and is mostly raised for meat. Cattle accounts for about three quarters of the meat produced in the state. Other livestock includes pigs, sheep, goats and domestic fowl. Most livestock is raised in the Villahermosa, Cárdenas and Emiliano Zapata municipalities. Tabasco has salt water and fresh water fishing along its shoreline and in the many rivers and small lakes but they are not extensively exploited, providing less than two percent of Mexico's total fish production. Commercial species include oysters, mojarra, shrimp, sea bass, shark, lobster and pejalagarto. Most fishing fleets are located in Frontera, with others in Sanchez Magallanes, Chilitepec and Dos Bocas. The state has natural resources such as mahogany, cedar and other tropical hardwoods. Mining, mostly of petroleum and natural gas, provides most of the state's GDP. Only 14.6% of the working population is in mining. About 19% work in construction, transportation and manufacturing. Most manufacturing is food processing, bottling and tobacco products. About ninety percent of industrial establishments are family owned, mostly dedicated to food processing in and around Villahermosa. The most important industry is petroleum refining, done by PEMEX in the Macuspana municipality. There are 860 wells in various municipalities extracting crude oil and natural gas. It produces 556,371 barrels of crude oil and 1,363,000 cubic feet (38,600 m3) of natural gas per day. It has deposits of gravel and sand, along with the Cementos Apasco factory. Just over 61% of the working population is employed in services and commerce. There are 86 traditional public markets. The Tabasco Fair is the most important commercial event. It has its origins in 1880. It has been held on and off since then in various locations. Today, it is held in Villahermosa at Parque Tabasco 2000 where the various municipalities of the state demonstrate their products. The current event also features cultural and sporting events as well. Tourism in the state is organized into various routes. The Centro or Villahermosa Route is centered on the state capital with its museums and historic buildings. These include the Cultural Center of Villahermosa, Regional Anthropology Museum, Tomás Garrido Canabal Park, the Yumka’ Ecological Reserve, The Paseo Tabasco Malecon Tourist Corridor, the Papagayo Interactive Museum and the Tabasco Cathedral. The Cacao Route consists of various cacao haciendas, where guides give lessons on how the plant is cultivated and the cacao bean is harvested, then processed into chocolate. It also includes a visit to the Comalcalco archeological site. The Cacao Route focuses on the municipalities of Nacajuca, Jalpa de Méndez, Comalcalco and Paraíso. In Nacajuca, located on the river of the same name, the main attractions are its boardwalk area, handcrafts and surrounding Chontal villages such as Tucta, Mazateupa, Oxiacaque, Tecoluta and Guatacalca, where many customs and the Chontal language are preserved. In Jalpa de Méndez, the main attractions are its gourd handcrafts, the San Remo cigar factory, the La Encantada Turtle Farm and the Pomposú Juliva Wetlands on the Mezcalapa River. In Comalcalco, attractions include the Comalcalco archeological site, cacao haciendas such as La Luz with its Cacao Museum, Jesús María, La Chonita and Cholula. Paraíso is a small port with beaches and some resort facilities. The River Route is based in the interior portion of the state, between the Grijalva and Usumacinta Rivers. This is an ecotourism route with activities such as canopy climbing, rafting and rappelling. There is also an option to visit the Ponomá archeological site. The River Route is on the interior portion of the state. It includes the Cascadas de Reforma Ecological Reserve, the Reforma Mayan archeological site, the Dr. José Gómez Pánaco Museum, the El Popalillo Lake and the Ribera de Acallán lookout point. The Wetlands Route emphasizes flora and fauna both on land and on the water. The main attraction if the Centla Biosphere Reserve. The reserve is home to a wide variety of wildlife species such as herons, storks, ibis, crocodiles, fresh water turtles, manatees and more. There is also over 500 species of plants with some of the most important concentration of aquatic plants in Mesoamerica. Other attractions include the Centla maritime port, the Museum of Navigation, the town of Frontera (where the Spanish founded the first European settlement on mainland America) and the Punta Manglar Ecotourism facility. Beaches in the area include Pico de Oro, Playa Azul, Miramar and El Bosque. The Mountain Adventure Route is in the highlands of the state with its forests, sulphurate waters and caves, centered on the town of Tapijulapa, which is noted for its handcrafts of wood and wicker. It features the hills, rainforest, sulfur springs and caves in the Teapa, Tacotalpa and Macuspana municipalities. Sites include he Río Puyacateno Park, Los Azufres Hacienda and Spa, the José Natividad Correa Tosca Museum and Coconá Caverns. Ecotourism activities include spelunking, rappelling and hiking. The Olmec Zoque Route encompasses the municipalities of Cardenas and Huimanguillo. Cardenas is near the ocean with various attractions. One is the fishing village of Villa Sánchez Magallenes. Huimanguillo has archeological sites and a number of natural attractions. The best known is La Venta, an Olmec site but another important one is Malpasito, which belongs to the Zoque culture. In addition, there are areas of tropical rainforest, waterfalls, petroglyphs and lakes. The Biji Yokot’an Route centers on the municipality of Nacajuca. It features the crafts of the area such as decorated containers made from gourds, its cuisine, especially river fish, the Chontal people of the area and the river boardwalk. Tabasco's population has been growing rapidly: between 1990 and 2005 the population grew from 1,501,744 to 1,989,969. Tabasco's population is mostly young, with an average age of 19 years and over 38% of the population is under 15 years of age. The state's population is more rural than the national average: 57% lives in urban areas, in contrast to 78% of Mexico's population in general. Those who leave the state mostly go to Quintana Roo, Campeche and Veracruz. Those that migrate to the state mostly come from Chiapas, Veracruz and Campeche. As of the 2000s, only about 2% of the population has left to live abroad, mostly to the United States. The national average is 16%. Three percent of the population speaks an indigenous language, which is lower than the national average of six percent. Most speak the Tabascan dialect of the Chontal language. This is followed by Ch’ol, Tzeltal, Maya, Zapoteco, Nahuatl and Tzotzil. Traditional masculine dress consists of a white shirt and pants, with black boots or shoes, black belt, a hat in a style called "chontal" and a red handkerchief around the neck. This dress is based on an older style of dress called "traje choco" which was made of cotton cloth called manta used to work in the fields. Traditional feminine dress consists of a wide skirt trimmed with a ruffle. Under the skirt is a slip designed to fluff the skirt and make the waist look smaller. The blouse is white with an embroidered band in bright colors, often with flower and/or animal designs. It has short sleeves ending in a square form in the lower part. The woman often carried a small handkerchief and a shawl called a rebozo in bright colors, often complementing the skirt. The shoes are black. The state has a number of unique traditional dances due to its relative isolation from the rest of the country. These include "El Gigante" of Nacajuca performed on 14 August. "Baila Viejo" is performed in Tucta and Guaytalpa in the municipality of Nacajuca as well as the Atasta de Serra in Villahermosa. "El Pochó" is of pre Hispanic origin and performed during Carnival in Tenosique. "Los Blanquitos" is also performed in Tenosique and symbolizes the struggle of black slaves during the colonial period. "El Caballito Blanco" depicts the struggles of the indigenous against the Spanish at the Battle of Centla. "El Zapateo" is said to be derived from the fandango, brought to the area by a conquistador called Ortíz de Séquito. It is considered to be the regional dance of the state. Traditional music has its origins in the Olmec period with other indigenous influences such as those of the Maya, Mexicas and Nahuas. It is based on flute and percussion, including drums made of tortoise shells and flutes/whistles made of ceramic. Purely indigenous music has almost entirely disappeared, replaced by that of European influence. Fandango influence was the first to arrive, which was modified then called fandanguillo leading to songs called zapateos in the colonial period, played by small orchestras. These were mostly composed of wind instruments but the marimba and drums called temborileros were added. This music was accompanied by a dance of the same name. Later, short improvised rhymes called "bombas" were added varying by region often consisting of a man and woman answering each other. The cuisine is based on the foods of the ancient Mayas and Chontals, using plants and animals native to the region such as achiote, chili peppers, chipilin and banana leaves, with corn and beans serving as the base. (amashito) Traditionally, people in Tabasco eat seven times a day, these meals are called "puntal" (after getting out of bed), breakfast, "refigerio," "apertivo," "comida," "merienda" and "cena." This regime is based on rural work customs which required starting the day before the sun rose. Typical dishes include those with iguana meat, Lepisosteus fish, beef puchero, smoked oysters, totopostes, pork with beans and tortillas made with banana and fresh corn. Chocolate is still found in preparations which have not changed since pre Hispanic times mostly as hot and cold beverages. The most common cold chocolate beverage is pozol, served fresh or fermented. Each of the regions has certain specialties. Teapa is known for its cheese and longaniza sausage. Jalpa de Méndez produces head cheese, longaniza sausage and another cured meat called butifarra. Macuspana's dishes are often based on ingredients from the area's rivers such as bass, turtle and Lepisosteus. Paraíso is known for its oysters, often cooked in their shell over an open flame. Jalapa is known for its sweets such as sweetened fruits in corn husks, often accompanied by a cacao and corn beverage called chorote. Tabasco is host to the boating marathon called the Mundo Maya on the Usumacinta and Grijalva rivers. The state has sixteen important museums. Most are located in the Villahermosa area but others can be found in Comalcalco, Huimanguillo, Balancán, Emiliano Zapata, Jalpa de Méndez, Jonuta and Teapa. These include the Carlos Pellicer Museum (anthropology) Museum of Popular Culture, Museum of History and the La Venta site museum. Patron saint days are still popular events in the state, with some of the more notable being San Isidro in Comalcalco and Nacajuca, James the Greater in Chontalpa, Our Lady of the Remedies in Nacajuca, Our Lady of the Assumption in Cupilco, Francis of Asissi in Tamulté de las Sabanas, events related with Lent in Atasta and Tamulté and the Saint Sebastian in Tenosique. There are also notable Carnival celebrations in Pochó, Tenosique and Villahermosa. La Venta was the most important civic-religious center of the Olmec civilization, the first major culture of Mesoamerica. The site shows a number of the characteristics of Olmec culture, including depictions of jaguars, colossal heads and images of figures of rotund children. The site dates back to about 1000 BC and declined around 400 AD, replaced in importance by San Lorenzo. The museum associated with La Venta is in Villahermosa proper called Parque Museo de la Venta. It contain thirty three major pieces from the site and includes displays about Olmec customs, government, astronomy and writing. This park was created in the 1950s by writer Carlos Pellicer to protect the most important pieces of the archeological site. There are also exhibits on the flora and fauna of the area. Comalcalco is a Maya archeological site near the modern city of the same name, on a bank of the Mezcalapa River. While it is not the only Mayan city whose monumental architecture is of adobe brick instead of stone, it is the only one which has had extensive reconstruction, open to the public. The Mayas here used adobe because of the lack of building stone in the area, instead using the abundant clay and lime extracted from shells. The Mayan city developed between 800 and 1100 AD, contemporary with Palenque and Yaxchilan. The name of the site comes from Nahuatl and means place of comals (a kind of cooking pan), but its Mayan name was Hoi Chan, which means cloudy sky. The site covers 577 hectares and with a total of 282 structures. The main monuments are La Plaza Norte, La Gran Acropolis and the Eastern Acropolis. Malpasito is located near the modern settlement of the same name. This site is related to the Zoque culture and was at its height between 250 and 400 AD. To date, the site is only partially explored. The structures of the site rest on a series of artificial terraces with twenty seven mounds. These structures include a Mesoamerican ball court, a main plaza and a sunken patio. Another feature of the site is sixty petroglyphs. Pomoná is a Mayan site discovered in 1959. The city was established in the Classic period achieving its height in the late Classic and falling in the early Post Classic. It is on the Usumacinta River, giving it an important role in the political and economic relations of the time as many ocean products passed through here on their way to the Peten area. Its original name is not known and it is currently named after a nearby modern settlement. It has six important groups of buildings with residential areas extending over 175 hectares. Reforma is also known as Morales or Moral. There is little information about this Mayan sites but it had an established ruling lineage by 633 AD and was tied politically and economically with Pomoná, Palenque and Bonampak. The main plazas with their ceremonial structures are similar to those found in Tikal and the towers of Río Bec. There are seven principle structures surrounded by numerous smaller ones. Many of the stele from the site can be found at the José Gómez Panaco Museum in the nearby city of Balancán. The state's population growth has put pressure on the educational system with about forty percent of its population school age. The average schooling in Tabasco has climbed from 2.7 years in 1970 to 6.7 years in 1995. In the same time period, the level percentage of the population which was illiterate fell from 25.7% to 11%. Today, the average schooling is 8.6 years or the third year of middle school, which is the national average. As of the 2008/2009 school year, the state has 4,910 primary and middle school. Primary and middle school education is ranked next to last of all federal entities. It has 269 high schools and vocational school, ranking 30th of 32. It has 57 colleges and universities, ranking next to last. The state has sixteen major institutes of higher education, with four universities, three technological colleges, seven teachers’ colleges an "instituto de estudios superiors" and one post graduate college. These include the Escuela Normal Urbana de Balancán, Escuela Normal Justo Sierra Méndez, Escuela Normal Graciela Pintado de Madrazo, Escuela Normal Pablo García Avalos, Colegio Rosario María Gutiérrez Eskildsen, Colegio Monte Cristo, Centro de Estudios Culturales, Universidad Juárez Autónoma de Tabasco, Universidad Olmeca, Institutio Tecnológico de Villahermosa, Instituto Tecnológico Agropecuario Num.28, Instituto Tecnológico Superior de Comalcalco, Centro de Estudios Universitarios de Villahermosa, Instituto de Educación Superior Alfa y Omega, Universidad Pedagógica Nacional and the Colegio de Posgraduados en Ciencias Agrícolas. The Universidad Intercultural del Estado de Tabasco was founded in 2006 as a state university to offer higher education to those from lower socioeconomic classes and indigenous communities. The state has thirty-three radio stations and thirteen television stations, nine of which are repeaters for programs from Mexico City. The two local stations are Televisión de Tabasco and Canal 9. The state has 9,092 kilometres (5,650 miles) of federal, state and rural roads. The most important highways in the state are the Coatzacoalcos-Villahermosa, Tuxtla Gutiérrez-Villahermosa, Escárcega-Villahermosa and Cd. Del Carmen-Frontera-Villahermosa. There are also 315 kilometres (196 mi) of rail line which transports 523,468 tons of cargo per year as well as passengers. The C.P.A. Carlos Rovirosa International Airport is located just outside Villahermosa. It offers service to various cities in Mexico along with Havana, Cuba and Houston, Texas.